Threaten sale and purchase agreements. If left untreated, invasives can quickly spread and create economic, social, or environmental impacts, but if caught early, infestations of invasive plants or animals can be controlled or even eradicated. As a realtor, developer or city planner it is important to recognize potentially damaging invasive species and understand the best practices to follow or where to find further information. View and download a regional invasive species fact sheet for realtors or the invasive species planning tool for local government created by the Invasive Species Council of BC. 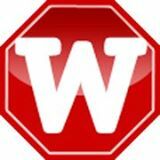 Access the Ministry of Environment’s Develop with Care website. Become a member of CSISS to receive information on the latest invasive species and workshop training opportunities, as well to request presentations to your organization in the Columbia Shuswap region. Knotweeds have extremely powerful growth habits; their roots and shoots grow at a rate of around 4cm per day in the spring and are able penetrate concrete, brickwork, and asphalt. Their roots have been known to re-sprout under newly built buildings, working their way up through floor boards and emerging from electrical sockets. Because they are so damaging to structures, knotweeds have been cause for refusal of property insurance in the UK, and have been the cause of law suits between landowners. Learn about how to identify knotweed, treatment options, and see more about it’s impacts here. 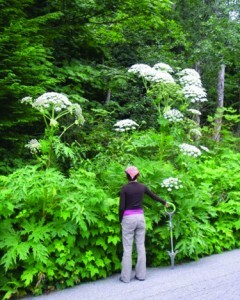 Giant hogweed is an extremely toxic plant with photo-toxic sap that can cause severe burns and blindness. It spreads by prolific seeding and is on the watchlist for the Columbia Shuswap region (limited sites are being treated for eradication in the Shuswap). It is similar to the widespread native species Cow Parsnip, so ensure careful identification using this factsheet. See information about giant hogweed’s impacts, identification and safe removal practices here. Invasive plants can cause serious reduction in the value achievable from agricultural land. Many invasive plants are toxic, unpalatable to livestock or can out compete crop plants. In general, if land is crowded with a mono-culture of just one non-native species that seems to be taking over, the species may be invasive. Use the Report-Invasives website or smart phone application to check if the plants are on the invasive list, or learn more about other high priority invasive species in the Columbia Shuswap region. To report invasives, see links in the reporting section below. 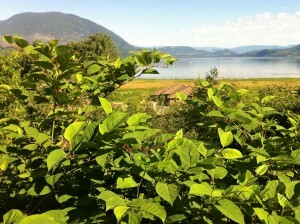 The BC Weed Control Act designates a list of invasive plants as ‘noxious weeds’ at the regional and provincial level. 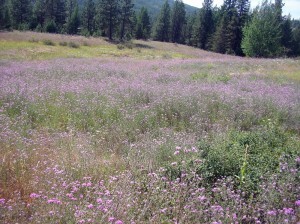 In British Columbia, land occupiers are mandated by law to control noxious species that occur on their property. Visit this link for a list of proposed prohibited species. Learn more about the weed control act and CSISS’ role here. Cosmetic Pesticide Bylaws vary between jurisdictions and are put in place to prevent the overuse of pesticides for purely cosmetic reasons. 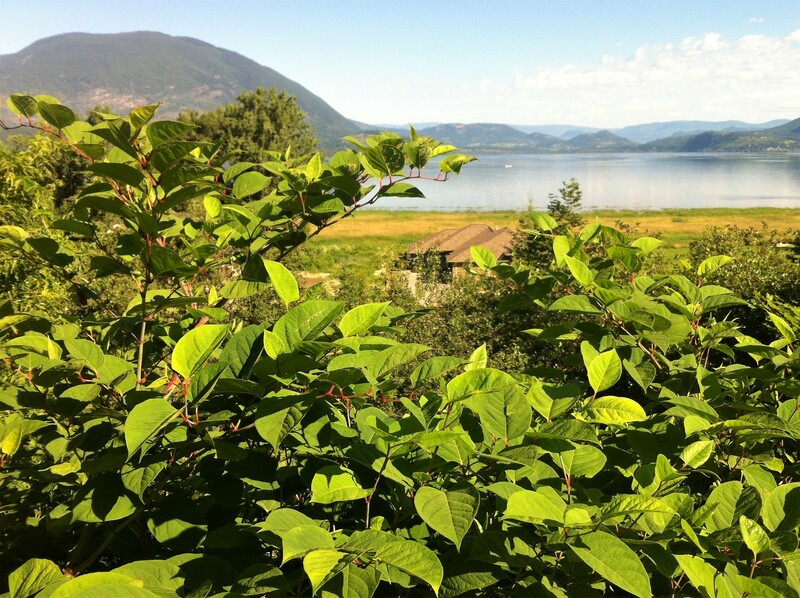 Noxious or invasive plants are generally exempt from these bylaws within the Columbia Shuswap region, but refer to your local municipal bylaws to ensure compliance before treatment. Soil deposition bylaws vary between jurisdictions. Soil contaminated with invasive plant or animals (seeds, fire ants, or fragments of knotweed) can be considered as contaminated waste and may be subject to soil deposition bylaws which regulate the movement and safe disposal of contaminated waste. See here for a presentation made at the UBCM in 2016 about invasive species in soils. (UBCM: Union of BC Municipalities). Property disclosure statements – There is an ethical duty to be forthcoming about damaging invasive plants infesting property for sale. Be aware that many invasive plants can be invisible during the winter, existing only as roots or seeds in the soil. Covenants – Many properties are covered by covenants that regulate various aspects of property management. Knotweeds and other invasive plants can cause damage that may lead to civil action. To report invasive species use our Online Reporting Form or download the Provincial Reporting smartphone/tablet application that allows you to identify and report with a GPS a location in the field. If you suspect that invasives are present on a property that is for sale or development, and you want to know what invasives have been surveyed on that property you can access the Invasive Alien Plant Program’s map display to zoom into site specific areas to determine what invasive plants are known to be present. Note: many areas have not yet been surveyed so we recommend contacting CSISS directly for more information if you are unsure about invasives on a property.